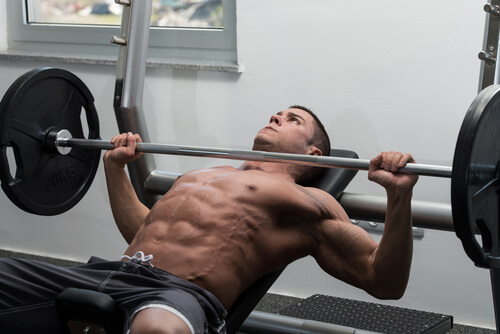 This Program is Based on the key Foundations of Weight Training. This is my spin on Coach Paul Carter’s Lift Run Bang (LRB) Training program. I consider the LRB training template one of the best hypertrophy templates every developed. I really like the principles of the program but I feel that the program doesn’t contain the proper delineation between training modalities for different types of physique display. For example, physique athletes, bodybuilders, and powerlifters all want more muscle but physique competitors need to approach training in a vastly different way than bodybuilders and powerlifters. A physique competitor needs to make his primary focus keeping his waist tight and his physique aesthetic whereas a powerlifter doesn’t care what his physique looks like as long as his strength is increasing. This program gives you the best of everything. I took the LRB training template and tweaked it for the goals of a men’s physique athlete. If you have the physique goals of a male cover model, this is the program you need. 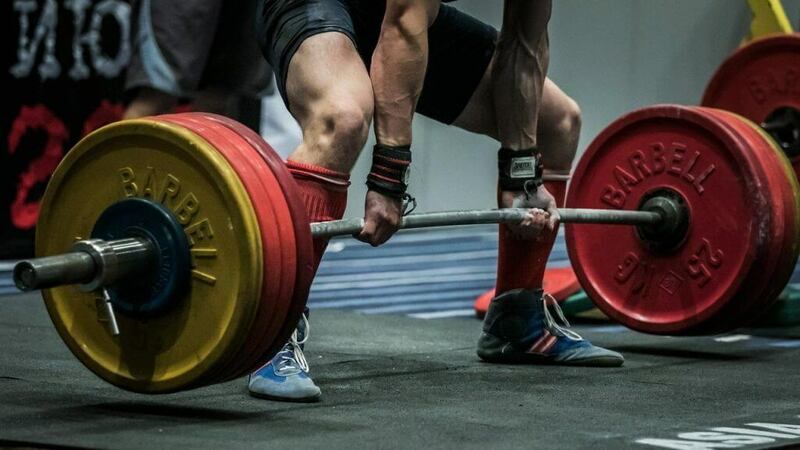 Base your training around the big basic lifts: squats, deadlifts, overhead pressing etc. But also tailored specifically for a men’s physique athlete with daily ab training, daily calf training, and programmed accessory work to make sure the physique stays balanced and aesthetic. A heavy light system - Where you lift heavy for one workout and then lift for reps the next. You always hear people argue whether progressive overload or blood volume training is the best stimulus for muscle hypertrophy. That would kind of like asking which organ is more important; your liver or your heart? You would be dead without either. 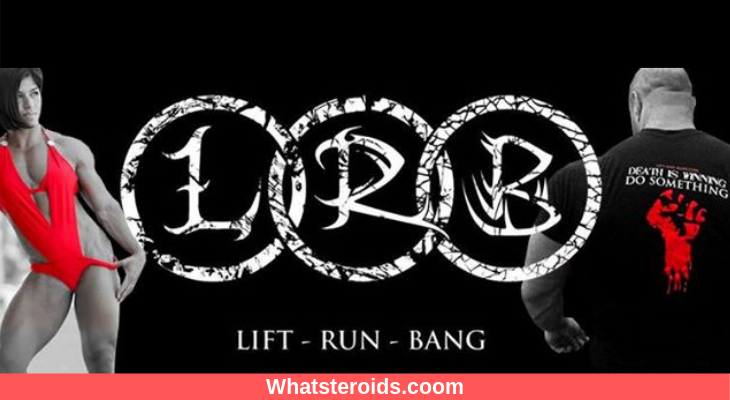 The LRB template focuses on both progressive overload and blood volume training so you get the best of everything. Push / Pull / Legs – I have found this to be the most productive workout split for intermediate and advanced lifters. The push/pull/legs split allows you to train each muscle group twice per week, which maximizes muscle protein synthesis, but still allows for enough recovery time between workouts so you don’t overtrain. Daily ab training – By training abs daily, you will be constantly depleting the muscles of glycogen which promotes localized fat loss. New research shows that spot specific training promotes localized fat loss by increasing blood flow to the area. Take the example of a carpenter who is using his forearms on a daily basis. Have you ever seen a carpenter who doesn’t have super vascular and jacked forearms? I haven’t. Daily ab training is something I have been experimenting with on my clients and I can tell you anecdotally that it really does work. Daily calf training – Similar to above, calves are an extremely stubborn muscle group. Trying to get your calf muscles to grow is almost the equivalent of trying to get your jaw muscles to grow. If you haven’t been blessed with genetically good calves, the only effective method I have found to get them to start growing is training them every day with high repetitions. The heavy days are for strength progression and progressive overload. That means HEAVY weight and low reps. Each workout you should be trying to add weight to the bar or getting an extra rep with the same weight used in the previous session. Rest between sets will be 2-3 minutes. The heavy days are all about moving as much weight as possible. Train with an external focus on the heavy days. Focus on lifting the weight from A to B rather than the mind muscle connection. The light days are for hypertrophy and strengthening the tendons. That means HIGH reps and forcing a lot of blood into the muscle. You are not trying to kill yourself on the light days. You are trying to strengthen the supportive area by forcing a lot of blood through those joints, tendons, and musculature. Reps are in the 15-30 range. Rest between sets is minimal on the light days. The goal is to achieve the greatest muscle pump possible to stretch the fascia of muscle cells to stimulate muscle growth. Train with an internal focus on the light days. Focus on the mind muscle contraction and mindfully contracting muscles to move the weight from A to B. So what is the Lift Run Bang method for getting into good condition? Easy. 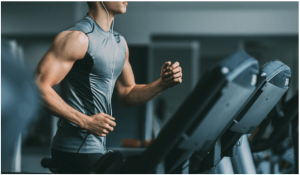 Steady state cardio and interval training. It's currently the rave to overcomplicate conditioning with things like the sled and prowler. I personally think it’s unnecessary. Why? Because getting into shape is free. You walk outside for your steady-state and run outside for your interval training. I recommend steady state first thing in the morning before eating. I sometimes have to do it in the afternoons or later in the evening because of my schedule but I find that doing it in the morning seems to make me feel "good" for the rest of the day. I also would argue that it has a greater effect on fat loss. Now I know that the literature shows that timing your cardio has no effect on weight loss. However, the literature also clearly shows that cardio increases muscle insulin sensitivity and improves blood glucose management. My opinion is that doing a cardio first thing in the morning before eating will promote better blood glucose management throughout the day and improve body composition better than doing cardio later in the day. If you can't get it done in the morning that's fine. Just get it in 3-5 times a week. What I generally do is have some black coffee and then head out for a 25-45 minutes fast paced walk. I recommend doing this 3-5 times a week. Steady state is great for recovery, and improving blood pressure, heart, and joint health. Walking is also great for the mind and overall stress relief. I like hill running and 30-40 yard sprints at about 60-70% speed for interval work. I generally do a short warm-up, perform the intervals, a quick cool down, and then some ab work. Generally, I do hard conditioning twice a week. One day I will do 30-40 yard sprints. The other day I will run the hills. I recommend 10-12 intervals per session. Dynamic Romanian Shrugs are when you do a Romanian deadlift, then explode upwards onto the toes into a shrug. 5-10 minute warm up walking at a moderate pace. 10 sprints (or treadmill sprints). Pick a destination 30-40 yards away. Sprint as fast as you can to the destination. Walk back. Repeat 10 times. If doing treadmill sprints, walk for 1 minute, Sprint all out for 30 seconds. Repeat 10 times. After the 10 intervals do 5-10 minutes of walking at a moderate pace for a cool down. 10 hill sprints (or treadmill sprints on an incline). If doing hill sprints, sprint up the hill and then walk down the hill. Repeat 10 times. If doing treadmill sprints, set the treadmill to 10% incline. Walk for 1 minute, Sprint all out for 30 seconds. Repeat 10 times. Thanks to: Coach Paul Carter and Trevor for such a wonderful article.